Complex and rich with layered flavors of berries, vanilla and bittersweet chocolate. 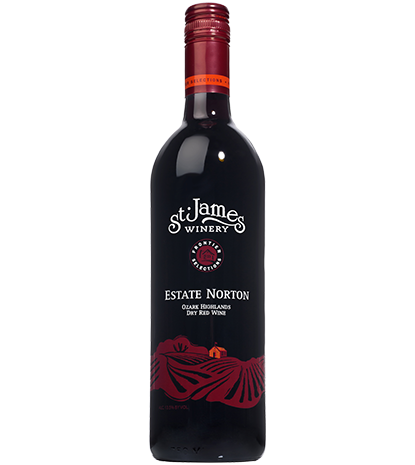 Aged in oak for 12 months, this estate-grown Norton is an elegantly structured, full-bodied dry red wine. From Tracy of Kirksville, Missouri on 1/4/2019 . This is by far my favorite wine. It is quite delicious. From Terry Breheny of Burbank, Illinois on 10/31/2018 . I just opened a bottle of the Estate Norton from 2016. I am by no means an expert, or connoisseur, but I do like wine, and know when I have hit a good one, and this is definitely one. I like dry reds. 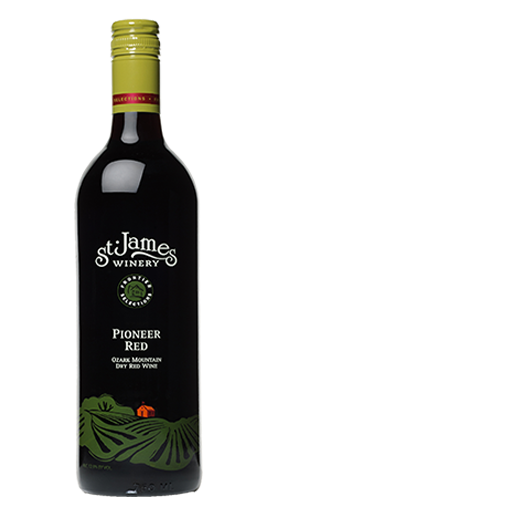 I don't know how St, James Winery does it, but their wines seem to transfer the Earth energies or tastes, into their wines. I read on labels about different flavors in the wine, but I can't always detect them. This wine has layers that I can detect. I don't imagine anyone being disappointed with this wine, if they are a red wine drinker. 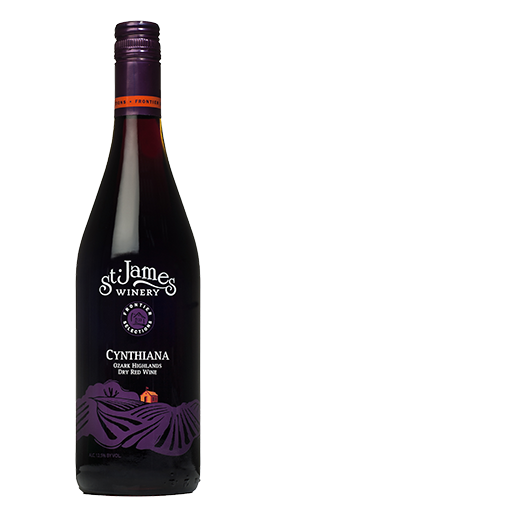 Dry Red - Complex and rich with layered flavors of berries, vanilla and bittersweet chocolate.